New York City‘s airports are located near an eclectic mix of restaurants, movie locations, a wildlife refuge, and a beach made famous by The Ramones. JFK is close to the Atlantic Ocean and the only Little Guyana in the United States, while LaGuardia is near many famous movie sites as well as food from nearly every Latin American country. Over in New Jersey, Newark Liberty International Airport is less than five miles from live entertainment and Little Portugal. A similar version of this post originally appeared on Matador Network. All pictures were shot with a Panasonic Lumix ZS100 4K Point and Shoot Camera. Rockaway Beach, immortalized in the 1977 Ramones classic tune, is just south of JFK Airport. It is the largest urban beach in the United States at four miles and roughly 100 city blocks and it is New York City’s only legal surf beach. With a lively boardwalk in the summer and a calming, serene vibe during the off-season, the Rockaway Peninsula can feel a world away from the City. Venezuelan arepas, Peruvian ceviche, and other Latin American street foods are available along the boardwalk. You can find Venezuelan fast food, Central-Asian cuisine, New York-style delis, Italian Ice (try Uncle Louie G) and more on Rockaway Beach Blvd. The AirTran connects to the A, which takes you the Rockaways. 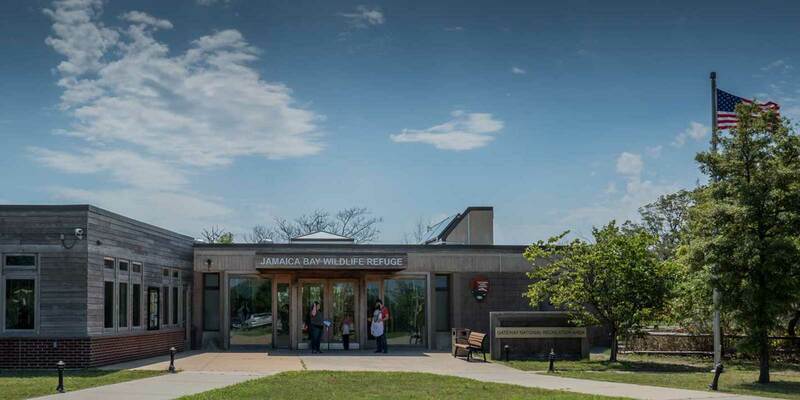 Nearest Subway Station: Beach 90 St.
Open all year round from sunrise to sunset, Jamaica Bay Wildlife Refuge has one of the most compelling bird sanctuaries in the Northeastern United States. The serene landscape can make you forget that Times Square is only 15 miles away. The visitor center is open until 5 daily (4 on the weekends) and there is no charge. The area just west of JFK Airport is where most of Martin Scorsese’s 1990 classic movie Goodfellas was based. As Henry Hill says in the movie, “The airport belonged to Paulie.” The AirTran connects to the A train, which will take you near the old Robert’s Lounge, which is now a Caribbean restaurant. Henry Hill‘s boyhood home is still standing at 392 Pine Street, just outside of the Euclid Av subway stop in Brooklyn. Interested in a Guided Tour of Goodfellas Locations in NYC? More people immigrate to New York City from Guyana than from any other South American country. 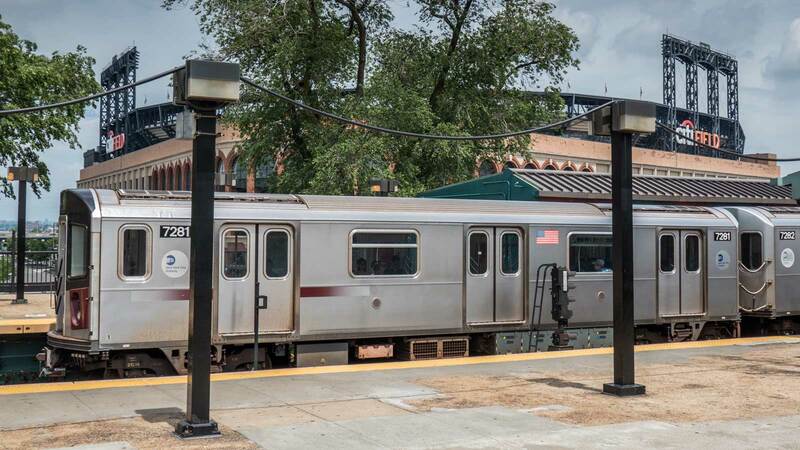 The majority of the Guyanese businesses in New York are under the A train along Liberty Ave (between 103rd and 133rd Streets) in South Ozone Park. Guyana is South America’ only English-speaking country, so there’s no language barrier. The Guyana accent is similar to that of Jamaicans, who are the fourth largest group of immigrants to New York City (Guyanese are fifth). Guyanese food is a curious mix of Caribbean, Chinese and Indian. Read about my latest adventures and get important travel tips and advice in your inbox by subscribing to my newsletter. We respect your privacy and will never share or sell your information. There are more Latin American restaurants along 37th Avenue and under the 7 train along Roosevelt Avenue than you can try in a single year. Take the Q70 bus to the 7 train, where you can try cuisine from Colombia, Ecuador, and Uruguay. There are two Uruguayan restaurants on 37th Avenue, where you can eat as much meat as Anthony Bourdain did in Season Four of No Reservations. If your layover happens to be between six in the evening and midnight on a Saturday, and you’re up for some food and live entertainment, head to the Queens International Night Market. On any given Saturday night, there can be up to 100 different vendors selling arts and crafts, and ethnic food which showcases the diversity of NYC’s most international borough. As well as more common cuisines, you can get a taste of Bolivian, Burmese or Chilean street food at the night market, which is located between the New York Hall of Science and the Grand Central Parkway. Citi Field, home of the New York Mets, is just two miles southeast of LaGuardia Airport. You can either hop on the Q48 MTA bus or Uber it. If you have time after the game, take the 7 train one stop to Flushing-Main St for possibly the best Chinese food in New York City. If you’re in a hurry or just want a light snack, check out the food court at the New World Mall. 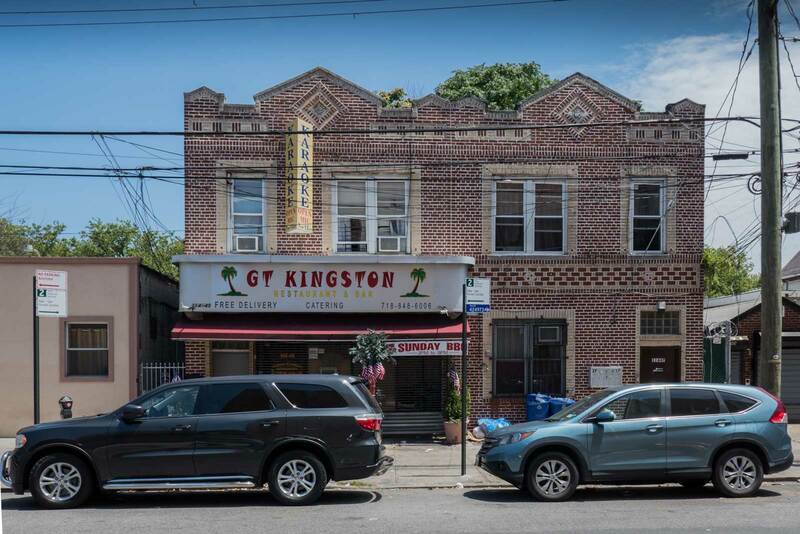 Astoria may be most well-known for its large Greek population, but a pocket of Egyptian restaurants has recently popped up along Steinway Street between 31st Ave and Astoria Blvd. Some are more accommodating to non-Egyptians than others. For example, at Mombar, you can eat lamb parts that you’ve only seen Andrew Zimmern eat before. Their printed menu is pretty basic, but the specials often include lamb’s brain, cheek, testicles, and tongue. You are likely to be served by the same man (Moustafa) doing the cooking. Mombar gives new definition to the term slow food, so allow at least two to three hours once you’re seated. There’s only one NYC museum where you can overdub Eddie Murphy’s voice in Coming to America and look at memorabilia from A Nightmare on Elm Street and The Exorcist. The Museum of the Moving Image opened in 1988, next to Kaufman Astoria Studios, where Nurse Jackie, Orange is the New Black, Sesame Street, and Saturday Night Live have all been filmed. From 2008 to 2011, the museum underwent a $65 million expansion which doubled its size. It now holds more than 130,000 artifacts with 1,400 on display. Video game fanatics can get lost in the Arcade Classics exhibit. Games go back as far as the early 1970s (Computer Space and Pong) and up to the early 1990s (Terminator 2 and Mortal Kombat). Tokens are included in the price of admission and more can be bought once inside. The Jackson Hole Diner is less than two miles from LaGuardia Airport. In the film, Goodfellas, Henry (played by Ray Liotta) and Tommy (played by Joe Pesci) steal a tractor-trailer from the Airline Diner (Jackson Hole) parking lot. The Jackson Hole diner can be seen from the Grand Central Parkway and is open from 7-midnight (2 AM on weekends) daily. Although they are famous for their 7-ounce burgers, they also serve breakfast, as well as Tex-Mex. The inside looks the same as in the film. Each booth has a 1960s-style jukebox. There are pictures of the Goodfellas cast throughout the restaurant, but the overall feel is pure 1950s Americana. In the entrance area, there’s a Coke machine that has been out of order since 1957, as well as pictures commemorating Bill Clinton’s visit to the famous diner. The only Little Portugal in the United States is just four miles north of Newark International Airport. Most restaurants are on or within a block of Ferry Street. Portugal is located at the western end of the Iberian Peninsula, so dishes are heavy on fish and seafood. Try mariscada or one of the other soups that mix cod and seafood. The Prudential Center has been home to the New Jersey Devils National Hockey League team since 2007 and has also hosted multiple WWE pay-per-views. With a concert capacity of nearly 20,000, rock legends like the Metallica, Pearl Jam, and New Jersey’s own Bruce Springsteen have headlined the arena. The Rolling Stones even closed out their 50thanniversary tour at the Prudential Center with a live HBO broadcast back in 2012. The arena is located less than four miles from Newark Liberty International Airport. The original CBGB may have closed back in 2006, but its fame has been kept alive thanks to punk nostalgia, including the 2013 Randall Miller film, countless documentaries, as well as tee shirts being sold everywhere from Walmart to Amazon.com. One result of a recent $120 million renovation of Newark International Airport’s Terminal C is CBGB L.A.B. (Lounge and Bar), which doubles as an overpriced record store. Some will laugh at the Debbie Harry bobblehead dolls and classic album crossword puzzles, while others will cry. Even if you don’t spend any money there, it’s worth checking out the small shop which also has mostly pre-2000 records by The Ramones, Stooges, and Blondie as well as artists who never played at CBGB. The menu is quite expensive, even by airport standards. Even a light lunch or a couple cocktails are likely to cost more than anyone ever paid for a Ramones ticket, but there’s something to be said as far as the design is concerned. The lounge area walls are adorned with black and white photos of Joey Ramone, Debbie Harry and Sid Vicious. A graffiti-covered grand piano sits conspicuously in the beer garden corner, while punk and new wave music comes out of small white speakers at shopping mall volumes. Interested in a Guided Tour of Ramones Landmarks in NYC? Brian enjoys exploring major cities along public transit lines and writing about it on his blog, imayroam.com, which he started in 2016. He also writes about topics like food tours, how to get the most out of a layover, and exploring movie and musical landmarks. Brian has traveled to 50 countries as well as every state except for Alaska and contributes to outlets such as Arrivedo, Lonely Planet, Matador Network, and travelstoke. On weekends, he leads music and film-focused walking tours of Brooklyn, Manhattan, and Queens. His five-star rated Goodfellas Tour of NYC was featured in Airbnb Magazine. Always happy to offer tips to aspiring travel writers and tour guides, Brian has been featured at the New York Times Travel Show as part of their Meet the Experts panel. Adding all of these to my list for the next time I visit NYC, which will be in the near future I hope. Such great ideas for a to-do list. I have never been to NYC but it’s on my list of places to visit and I really hope that one day we will go and see all of these amazing places! What I wouldn’t do to spend a day wandering the streets of NYC! There is just so much to do and see and eat. Oh my word, the choices are phenomenal. You definitly jam packed a lot into a layover in NYC. NYC is one of my favorite cities ever and if I have just a layover I would be doing the same as you. I love all the food and street art there. NYC just got better for me. I am adding all this to my to do list when I visit NYC or have a lay off. Thank you for sharing. Oh my god Astoria would be epic, especially as I am a big film fan. Plus as someone who comes from a Portuguese background Little Portugal sounds great! Wow, so awesome. I love the details you pointed here like the restaurants and the boutique. That looks really fantastic and hopefully to try this heaven in the future. I know that NYC has so many different ethnic enclaves that they would have so many different things there. I definitely should make it back there sometime. The last time I went there I wasn’t all that impressed but I am told that it has gotten a lot better since the last time that I was there. This post is total genius because many different times have people been laid over intentional or not and been stuck in the airport. So loving this and using next time I have a lay over! Sharing it with a friend who will find it useful! Awesome tips. I wish I knew this before because I remember how lost I felt when I arrived at La Guardia and I didn`t have internet to search anything. I actually had no idea there was any sort of beach in NYC! How cool! Reminds me that I did New York in a day once upon a time. Some great ideas, thanks! I didn’t know there was a little Egypt! So many amazing authentic food options! I’m not sure about waiting 2-3 hours at Mombar, but the rest seem amazing. Will definitely give these a try next time we’re in NYC, thanks. Wow I had no idea there was so much to do without going into the city! Little Guyana sounds fascinating – I didn’t make it there on my South America trip so would love to get a taste of Guyana here! Pretty good activities to make time fly while waiting on your flight. I would check out the Goodfellas sites.